Just like the famous shot heard around the world from the battle of Lexington, Thomas Paine’s liberty treatise from 1776 opens with a fire of clarity and purpose. Trumpian pugilism notwithstanding, it is a rare commodity in today’s era of political obscurantism and postmodernist chicanery. In four sentences, Paine draws a critical distinction that has been buried under years of political rhetoric and false morality. In the classical liberal formulation, the nation state exists only to punish violations of individual liberty and property. In the modern progressive mind, the nation state is the ultimate arbiter of virtue whose guns and prisons can somehow be repurposed to serve a seemingly endless list of moral imperatives. The ballot box can magically confer an ever expanding list of “rights” to any group claiming the mantle of oppression. Thomas Paine embodies what is now referred to as classical liberalism. Since today’s liberals have perverted and collapsed this basic distinction beyond all recognition, Common Sense restores the word “liberal” to its true meaning. 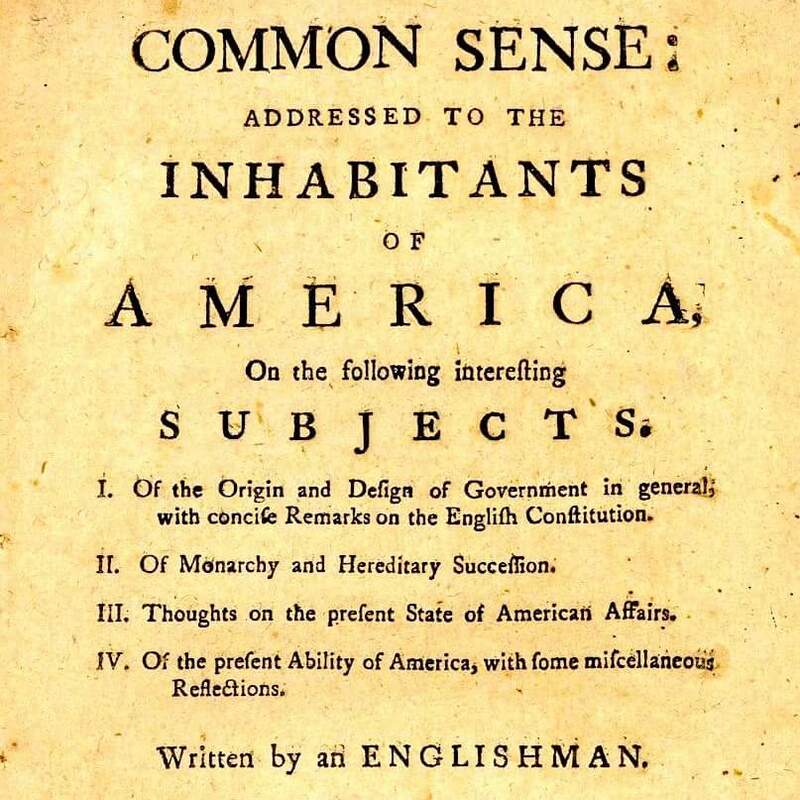 In Common Sense, Paine makes an appeal to American colonists to secede from British rule and form a constitutionally limited State. It is, in many ways, the first #Brexit. It is equal parts polemic, Biblical history and political philosophy. It’s easy to understand why this wouldn’t go down so well in today’s Age of Social Justice. Besides being the work of a white male, Common Sense’s primary object is anathema to the modern Left: liberty. 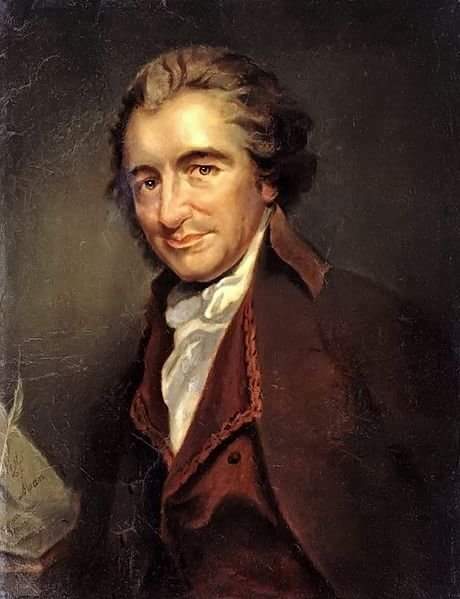 In contrast to the childish romanticism of the modern Left’s conception of the federal State, Paine views government without the blinkers of progressive pablum. He sees it as at best, a necessary evil, and at worse, an engine of destruction. Paine even attempts an argument that has been all but abandoned by the modern Left: an appeal to economic common sense. Paine views the construction of a naval fleet as a unique opportunity for economic gain and common defense. Rather than being another screed of a tyrant reaching for imperial power, we hear a humble man making a rational appeal to economic logic in service of rallying the skills and resources of his countrymen in order to fulfill a single revolutionary objective. No country on the globe is so happily situated, or so internally capable of raising a fleet as America. Tar, timber, iron, and cordage are her natural produce. We need go abroad for nothing. Whereas the Dutch, who make large profits by hiring out their ships of war to the Spaniards and Portuguese, are obliged to import most of the materials they use. We ought to view the building a fleet as an article of commerce, it being the natural manufactory of this country. It is the best money we can lay out. A navy when finished is worth more than it cost. And is that nice point in national policy, in which commerce and protection are united. Let us build; if we want them not, we can sell; and by that means replace our paper currency with ready gold and silver. Paine even expresses a concern for fiscal prudence and the burden that profligate spending would place on future generations. The disdain he heaps on the politician who trades political favors for power is especially refreshing. But to expend millions for the sake of getting a few vile acts repealed, and routing the present ministry only, is unworthy the charge, and is using posterity with the utmost cruelty; because it is leaving them the great work to do, and a debt upon their backs, from which they derive no advantage. Such a thought is unworthy a man of honor, and is the true characteristic of a narrow heart and a pedling politician. Paine promoted a fervent belief in religious freedom, and the idea that it is the indispensable duty of government to protect this freedom. As to religion, I hold it to be the indispensable duty of all government, to protect all conscientious professors thereof, and I know of no other business which government hath to do therewith. Let a man throw aside that narrowness of soul, that selfishness of principle, which the niggards of all professions are so unwilling to part with, and he will be at once delivered of his fears on that head. Suspicion is the companion of mean souls, and the bane of all good society. For myself, I fully and conscientiously believe, that it is the will of the Almighty, that there should be diversity of religious opinions among us: It affords a larger field for our Christian kindness. Were we all of one way of thinking, our religious dispositions would want matter for probation; and on this liberal principle, I look on the various denominations among us, to be like children of the same family, differing only, in what is called, their Christian names. It’s very easy to read this and use it as a bludgeon against contemporary pro-Trump/anti-Muslim sentiment, but I believe it’s important to remember that this sentiment came from an avowed deist, and specifically, one who was raised in the Christian tradition. Has any similar sentiment arisen anywhere in Islamic culture? Does Islam promote a diversity of religious opinion now or at any other point in history? To what extent is this belief of religious pluralism shared by contemporary Muslims? Will progressives hold Muslims to this standard when they profess intolerance towards non-belief in Islam? Paine may have been appealing to what people in Western society regard as universal principles, but it doesn’t follow that every culture will share these principles. What’s especially refreshing about Common Sense is the absence of the stink of academia. That’s not to say that all academic thought is staid and stolid, but Paine’s prose burns with vigor because this is the work of a man who grasps the historical portent of the moment and knows that he has a winning argument. At the center of Paine’s plea for liberty is an appeal to posterity, decency and yes, common sense. Though Paine is largely viewed as one of the founding fathers of modern liberalism, the contemporary Left has all but abandoned Paine style liberalism. Modern progressivism has traded the generosity of spirit and moral clarity of Paine for a shrill, condescending elitism which prioritizes identity politics and subservience to perceived institutional expertise over individual liberty. I doubt any progressive would concede the point, but you’re more likely to find the unifying message of Paine in an average Trump supporter sporting a MAGA hat than you will in a dyed hair collegiate gender studies major Berniecrat. On these grounds I rest the matter. And as no offer hath yet been made to refute the doctrine contained in the former editions of this pamphlet, it is a negative proof, that either the doctrine cannot be refuted, or, that the party in favour of it are too numerous to be opposed.Wherefore, instead of gazing at each other with suspicious or doubtful curiosity; let each of us, hold out to his neighbour the hearty hand of friendship, and unite in drawing a line, which, like an act of oblivion shall bury in forgetfulness every former dissension. Let the names of Whig and Tory be extinct; and let none other be heard among us, than those of a good citizen, an open and resolute friend, and a virtuous supporter of the rights of mankind and of the FREE AND INDEPENDANT STATES OF AMERICA.